The criminal justice system is a complex system established to manage individuals accused or convicted of crimes against society. This course will provide entry level correctional officers and entry level probation/parole staff with a general overview of the adult criminal justice system. 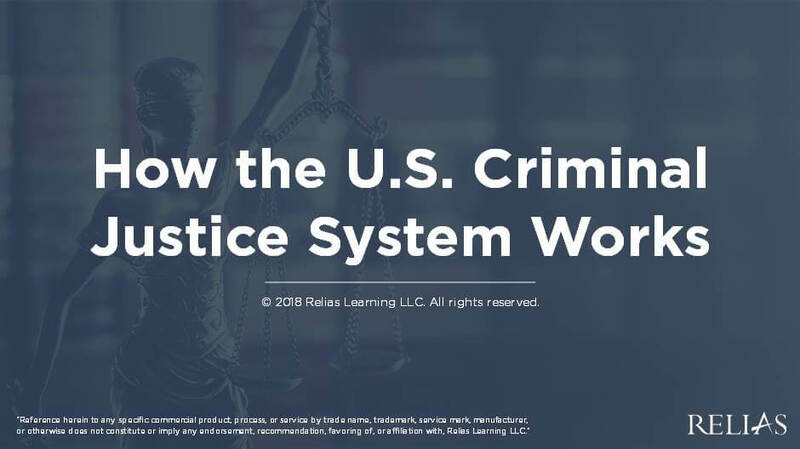 List 3 major components of the criminal justice system (CJS). Differentiate between the state and federal courts. Explain at least 7 steps in the criminal justice process. Describe 5 types of sentences.